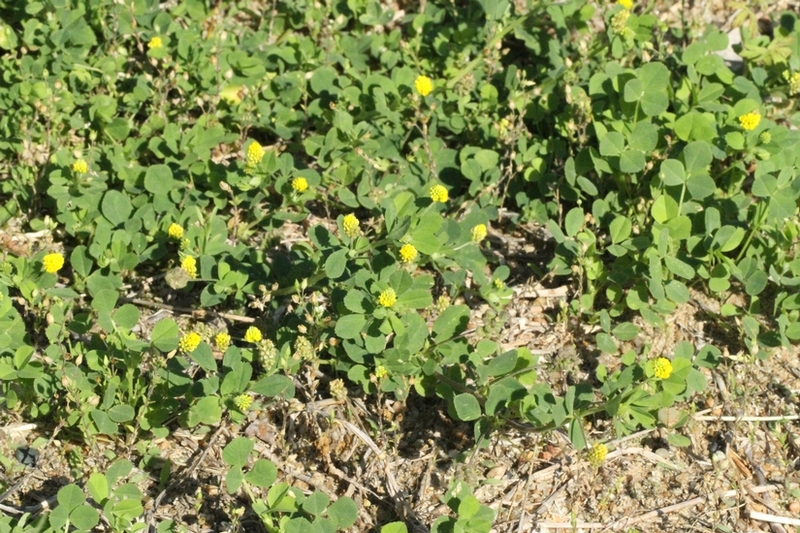 A low-trailing summer annual, with yellow flowers. Found throughout the United States, primarily a weed of turfgrass. 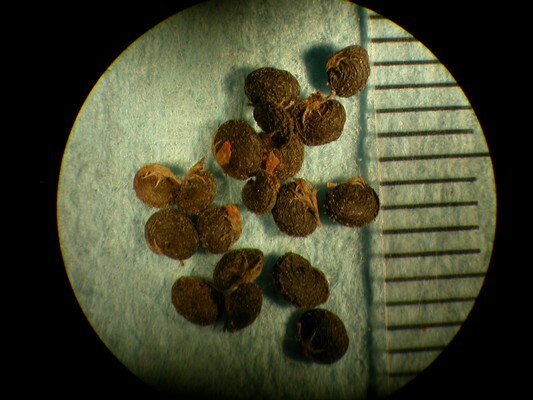 Cotyledons oblong (4-9 mm long). 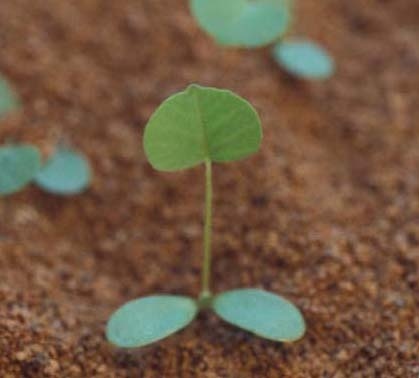 First true leaf is borne on a single stalk, followed by leaves that consist of 3 leaflets and arise from a common point (palmately compound). Stems prostrate, 4-angled, hairy, radiating out from the taproot. Compound leaves are alternate, with wedge- to oval-shaped leaflets. Leaflets have toothed margins, are widest at the apex, and have a projecting tip in the center of the leaf. 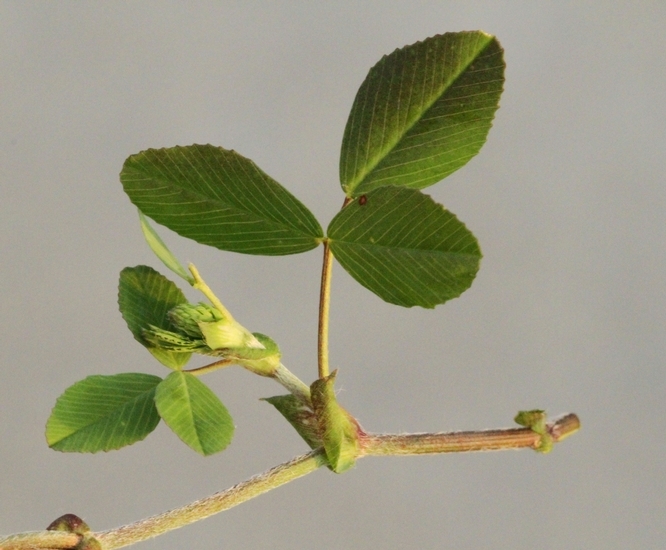 The central leaflet is borne on a short stalk, while the lateral leaflets arise from the central petiole. Stipules are present at the base of the petioles. 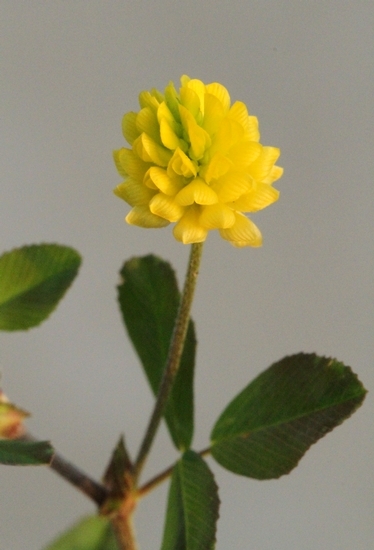 Small and yellow, in clusters, approximately 1/2 to 3/4 inches long. A kidney-shaped, 1-seeded black pod, 2-3 mm long and hairy. 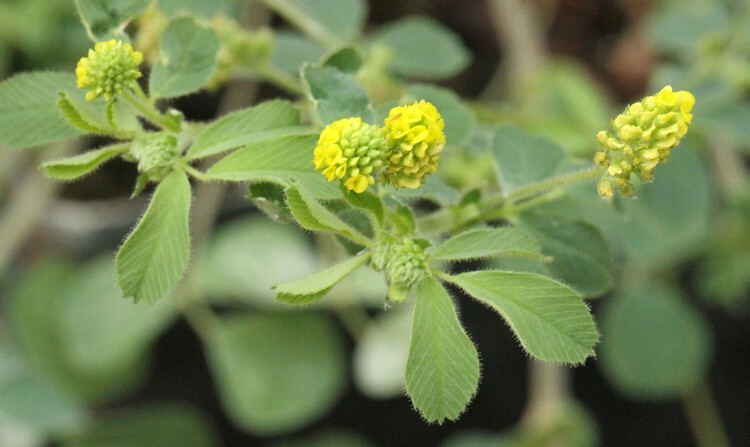 This weed may easily be confused with other weedy trifoliate legumes such as hop clover, large hop clover, yellow woodsorrel (Oxalis stricta), etc. 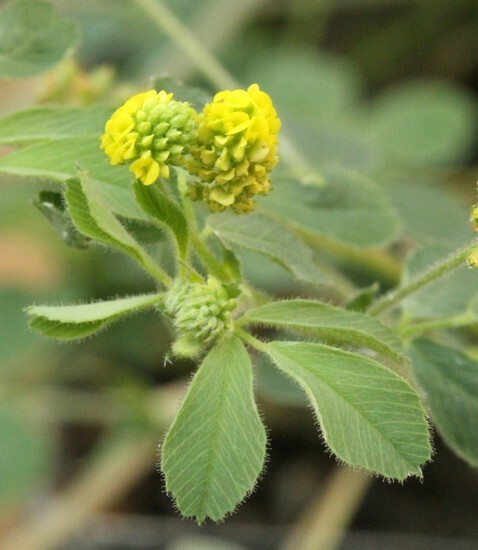 However, the longer stalk of the central leaflet compared to lateral leaflets, small projecting tip at the leaflet apex, and toothed margins are important characteristics that help to distinguish black medic from other trifoliate legumes.